Not served as part of the tasting, the oysters ($5 each) are simply magnificent and should not be missed. 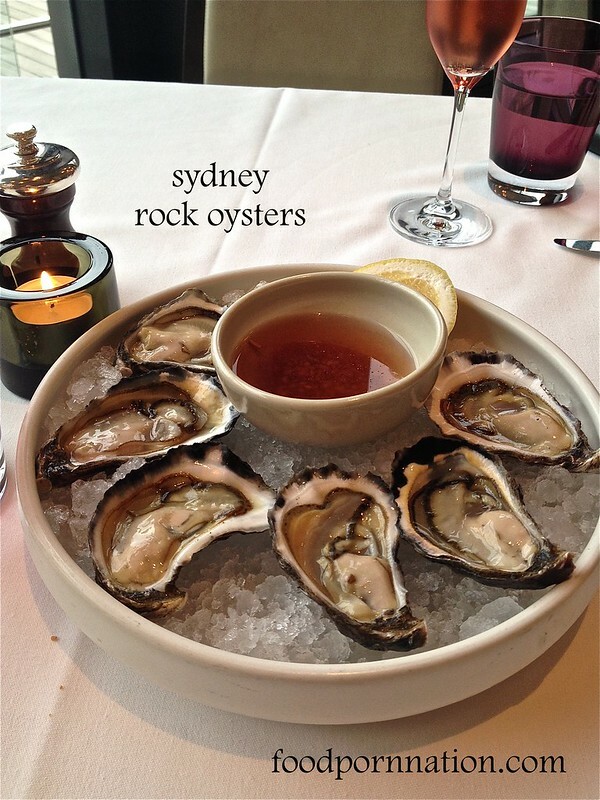 They come with the most striking shallot vinegar dressing – a perfect balance of sweetness and acidity that complements wonderfully with the oysters. 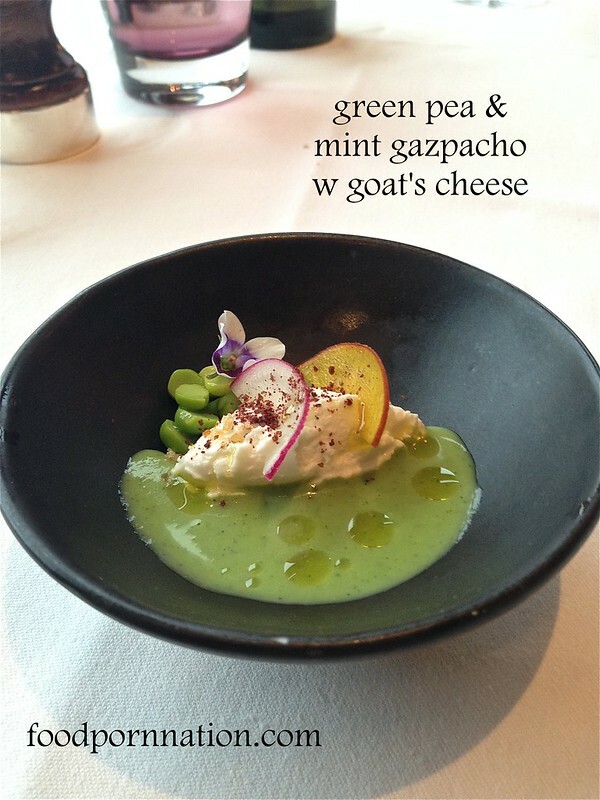 The green pea and mint gazpacho is a great way to start things a fresh. It’s refreshing and fragrant. The accompaniment of the goat’s cheese makes for an even better ensemble, making it creamy and tangy. 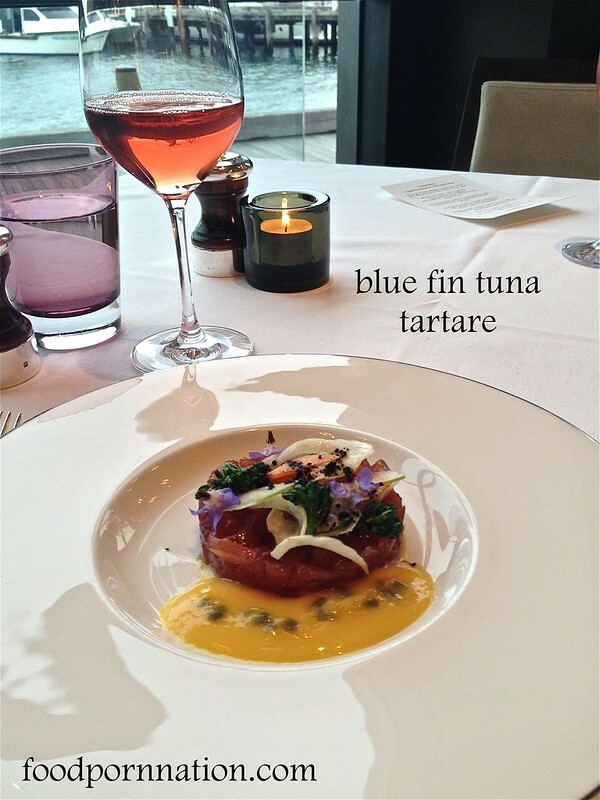 The blue fin tuna tartare itself doesn’t disappoint. It is the mango and passionfruit condiment that is somewhat polarising, playing a very rich and sweet role in an already savoury dish. Finishing up from the entrees section of the tasting menu, the scallops were a real hit. They were served with a delicious accompaniments of cauliflower puree, popping pomegranate, tangy yuzu and the most gorgeous chicken jus. Making it one of the better scallops dishes I’ve ever had the pleasure of tucking into. 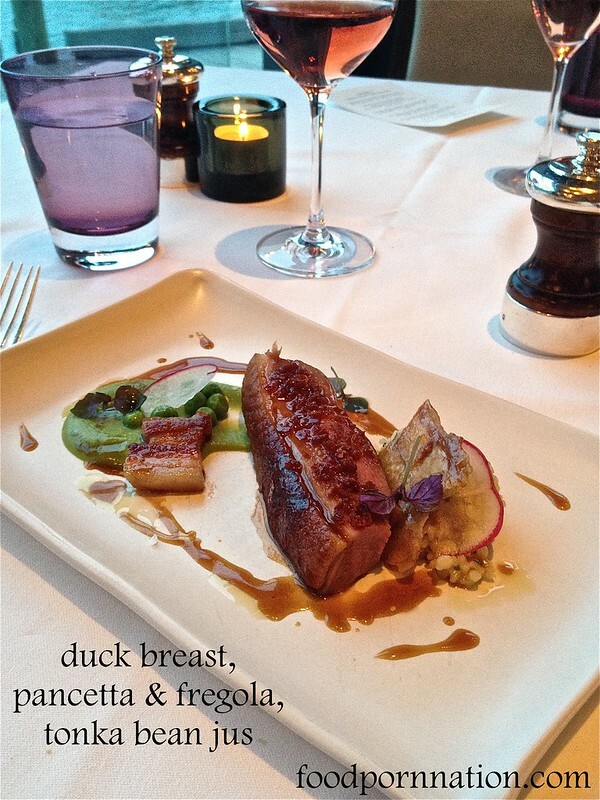 The duck breast is pretty in pink but it is let down by a not so crispy skin. As someone who hasn’t had fregola – a Sardinian pasta resembling couscous, I am quickly taken by it. It has a texture quite like no other and reminds me of the most creamy and delicious risotto that has the most incredible feel along your tongue. 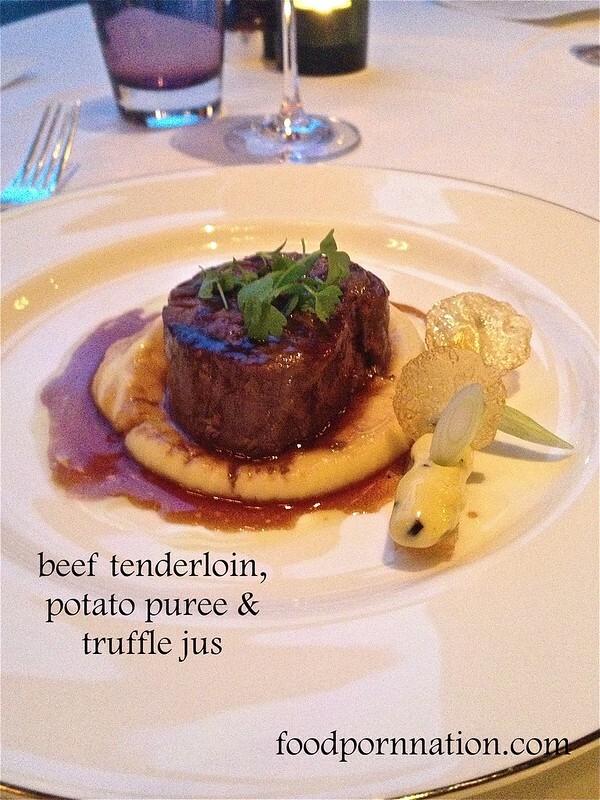 Another magnificient dish – the beef tenderloin. The flavour of the beef is at full flight, with the meat beautifully pink and tender. The waft of the truffle jus is a real pleasure and I can already smell this before the dish reaches me. Visually it is soaking longingly in and around the potato puree and beef. We also asked if one of us could substitute the beef tenderloin for the 9+ grading of wagyu sirloin ($70) offered on the menu. 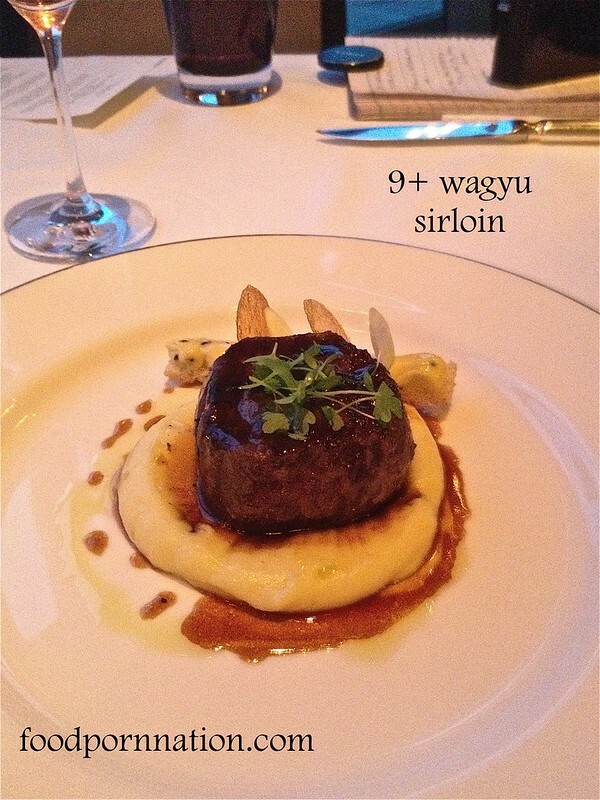 To compare the two (beef tenderloin or wagyu) is a difficult task. Both are beautiful in their own respect. The tenderloin has a stronger beefy flavour and admittedly more tastier. The wagyu is butter soft, fatty and is all about the texture and richness at a really high quality. Instead of the dessert offered on the tasting menu we asked to replace it with two desserts from the menu. 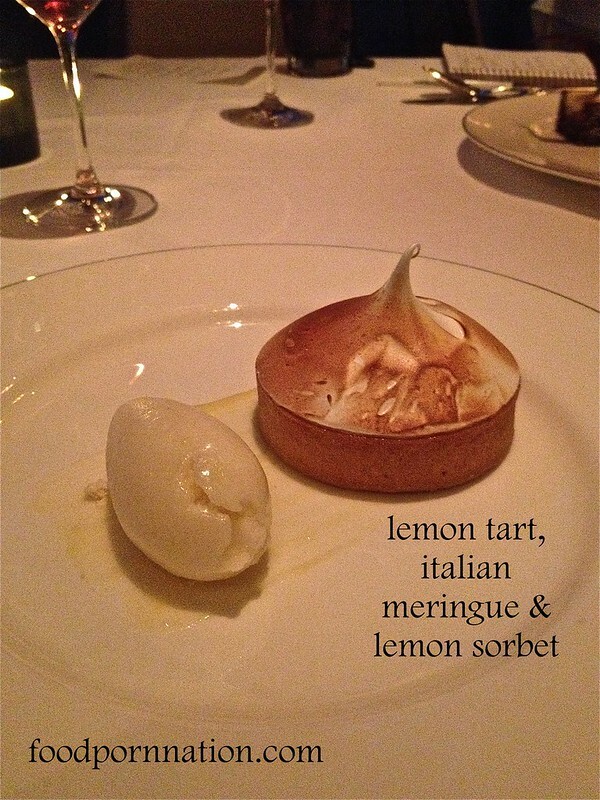 The lemon tart is flawless and the perfect way to finish. The custard filling is creamy and zesty with the pastry, buttery and crumbly. Sorbet is stunning, cutting across all that delicious butter fat, delivering a clean and zesty after taste. My sister, an ex-pat living in London who “hadn’t had a lamington in ages”, couldn’t quite resist the call of their deconstructed version. The cake is interesting, once you let the flavours settle, this tastes exactly like a lamington but with a much richer flavour and thicker texture. The cake consists of a chocolate sponge, layer of caramel and coconut topping with the chocolate points meant to resemble the view of the Opera House. A very clever and well executed dish. Food looks great. 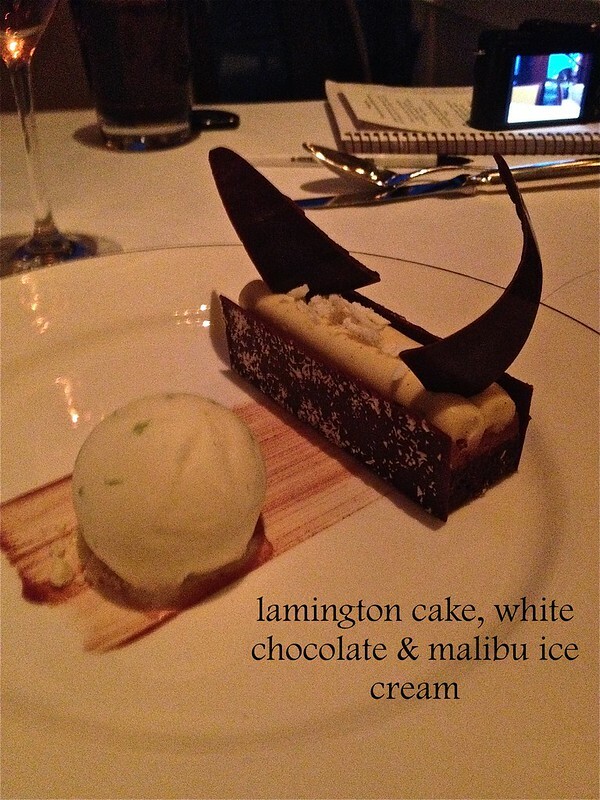 Lamington cake sounds delish! 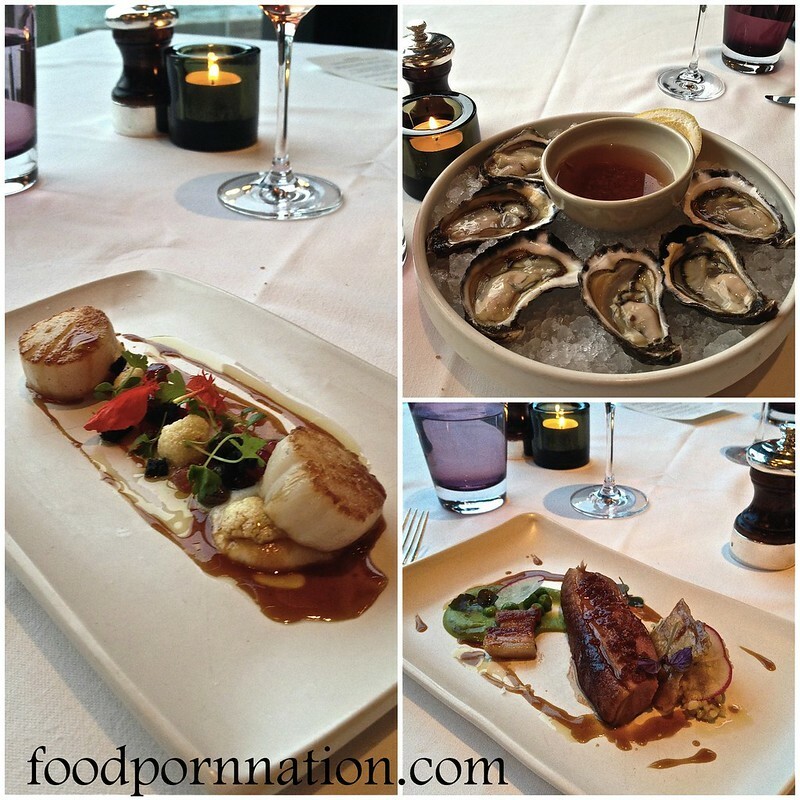 It was the perfect combo of French and Australian cuisine! It’s definitely great value. I think it’s one of the better value tastings out in Sydney, especially when you throw in the view! Oooh wagyu!! Be still my beating heart. Oh wait, I think that’s just my arteries clogging. oooh yummm!!! i love fregola dishes! 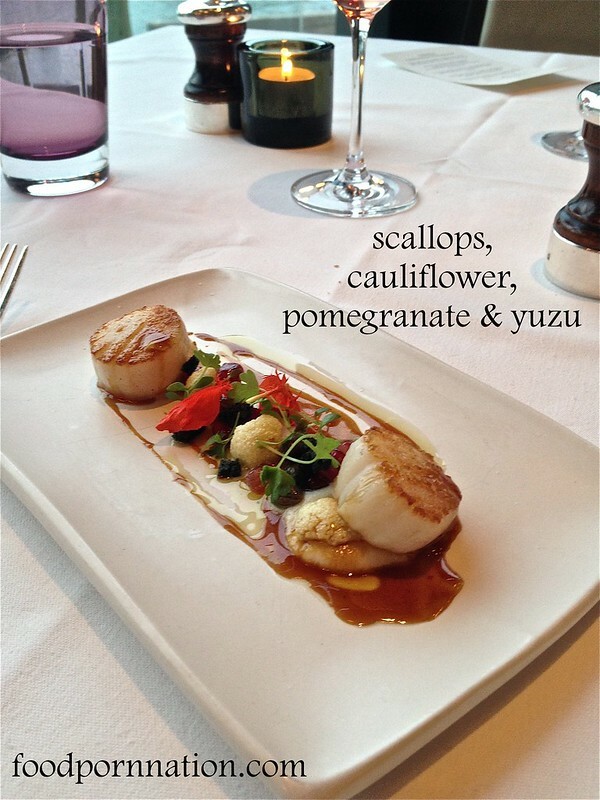 i love scallops and they look real plump and juicy! They were the perfect scallops!! Hmm I don’t think I’ve ever been one for oysters, but they look pretty good in your photos! I’ve also never stepped foot into The Dining Room, before or after the renovations! I did contemplated it for a sugar hit years ago but it just never happened. I think I’ll add this one to the to do list too. Yes it’s def one to add to the list!